1. 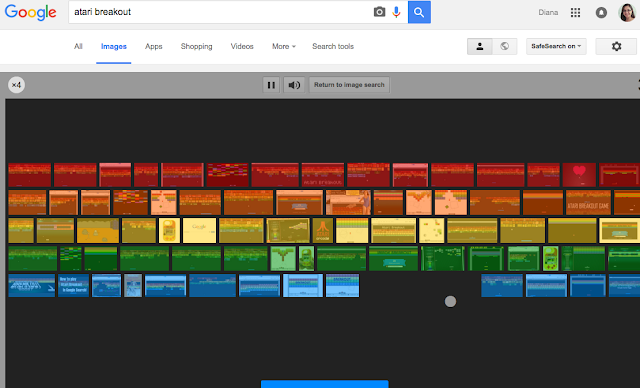 Atari Breakout - This Google image search will turn the results into a functional rainbow coloured Atari Breakout game complete with sound effects. Can you beat my high score of 537? Of course, you can! 2. Askew - Searching for "askew" using Google Now will cause the results to be displayed at an angle. Have you had your V8 today? 3. Probability at your finger tips - Whether you’re playing a game with the family or just have a quick choice to make, Google Now can help. 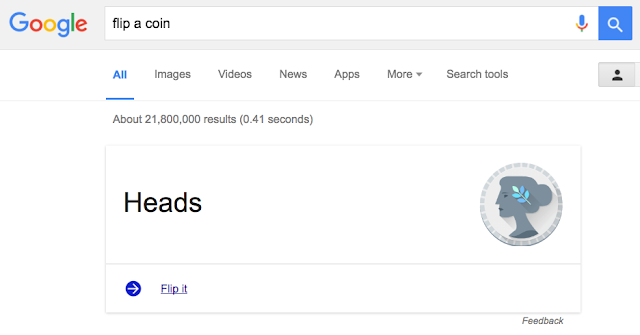 Simply ask Now to “flip a coin” or “roll a die” and in moments you’ll have an answer. 4. Do a barrel roll - Searching for this phrase will cause the results to rotate 360 degrees. 5. Feeling lonely? - A search for the loneliest number will pull up your device’s calculator and confirm that one is indeed the loneliest number. 6. The meaning of life - Asking Now “what is the answer to life, the universe and everything?” will result in a simple and straightforward answer to life’s biggest question: 42. 6. Bacon Number - This one was new to me. Ever wonder how closely related Justin Trudeau is to Kevin Bacon? Based on the Hollywood game Six Degrees of Kevin Bacon, asking Google Now for a notable person’s “Bacon Number” will show you how the two are connected. 8. Google Maps Pegman - Have you searched for Hawaii on Google Maps recently? 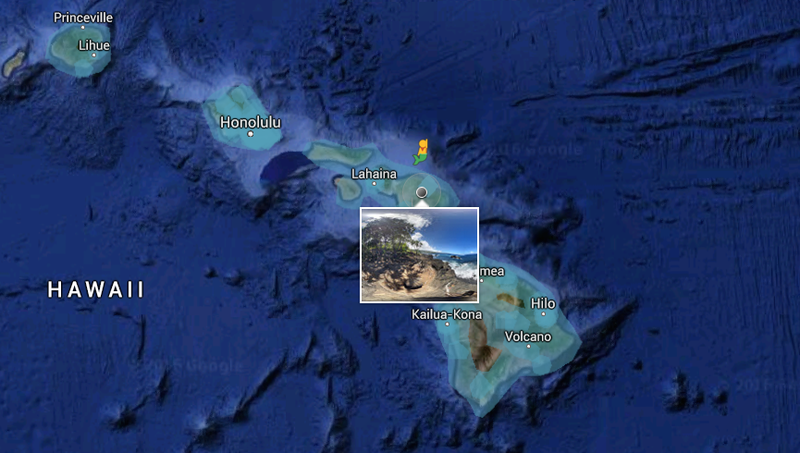 By hovering the pegman over these islands, he turns into a mermaid. Guess what he morphs into when visiting Loch Ness! 9. YouTube - The fun doesn't end with the bazillion videos found here. 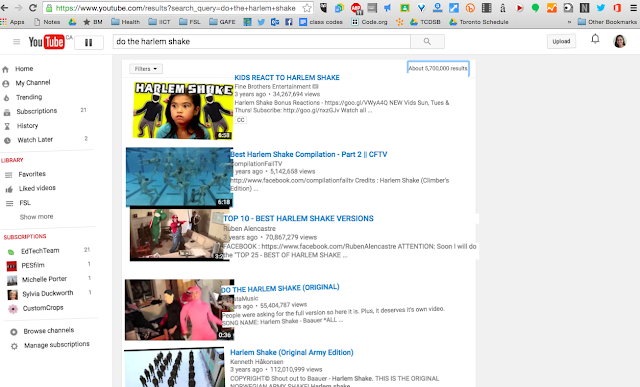 While on youtube.com, search for "do the harlem shake" and get ready for some crazy dance moves you ain't never seen! 10. Personalized Google Doodles - If you have an account with Google and you stop by the Google search page on your birthday, you will be greeted with a birthday Google Doodle just for you. Don't believe me? Hover over your cursor over the image for a personalized message. Google's collection of egg-stra special hidden features are now available on mobile in addition to desktop. All you need is the Google App or the Chrome browser and you can either search for them manually or use Google Now voice commands. 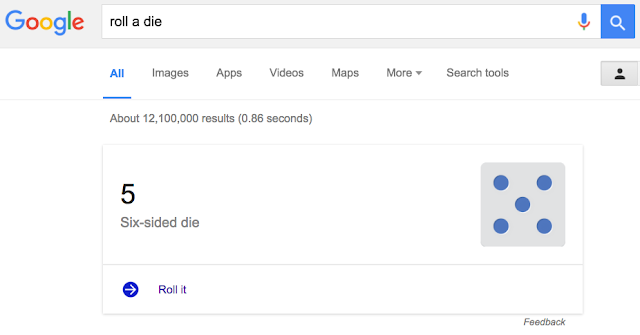 Have you come across any other Google Easter eggs? Share them in the comments below! I love these! So much fun!